 Medicare Comprises Largest Portion of Payor Mix - ONRAD, Inc.
imagingBiz | Like it or not, Medicare remains the largest component of radiology practices’ payor mix, at 37% of the total. So reveals the 10th annual physician survey conducted by Medical Management Professionals, Inc. (MMP), a provider of billing and practice management service to radiology groups and imaging centers. Intended as an imaging industry snapshot, the survey includes information gleaned from shareholder and non-shareholder physicians in radiology practices with which the Atlanta, Georgia-based company works. In a somewhat sharp contrast to Medicare, Blue Cross Blue Shield constitutes 17% of the payor mix identified in the survey, followed by managed care entities (13%), commercial health insurance carriers (11%), Champus/Tricare (2%), and Workers Compensation (1%). Self-pay accounts for 8% of the payor mix; “other” payors, for 4%. According to the survey, practices perform 218,146 procedures annually, with work relative value units (RVUs) totaling 135,993 annually and the number of full-time employees (FTEs) standing at 10.8. Meanwhile, benefits offered to non-shareholders remain generous. Of radiology practices covered in the survey, 100% offer malpractice insurance, 95% provide health insurance coverage, and 80% absorb the cost of dues, licenses, and the like.